Our greatest resource is our team members. By joining us, you will become a member of the highest performing, quality focused team in the hospitality industry. Together we will work towards the common goal of a successful and mutually rewarding company. We look for people whose talents include a great smile, enthusiasm, urgency, intelligence and attention to detail. If this describes you, we want to teach you skills that will allow you to reach your full potential and maximize your earning potential. 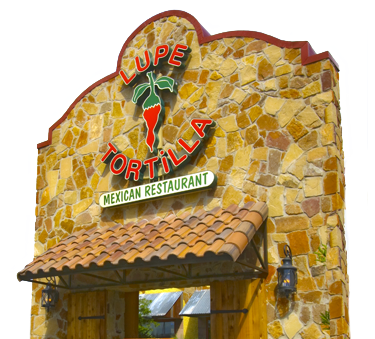 Come be a part of the Lupe Tortilla Familia! For a list of current positions at our Lupe Tortilla locations Click here. Management talent is the cornerstone of our past and future success. Many work in our industry, but few are talented enough to accept all the challenges and achieve the level of the standard for others to follow. Lupe Tortilla knows success. Learn More. It is our faith, attitude, actions and character that set the standard for others to follow. We value trust in each other and that of our guests. We never sacrifice quality or integrity. We energetically strive to raise the standard of excellence in every area we endeavor. We are satisfied only with the very best people, products, service, environment and financial stewardship. value. We will treat each guest as we would a good friend or family member, in a fun, inviting and unique environment that is clean and safe! We seek people with a great attitude, integrity and energy. Team players that are quality-focused and creative problem-solvers who have a desire to serve others. We treat each other with respect and dignity realizing that no job is more important than the person who performs it. We value training, self-improvement, and continuing education. We welcome change when it sets a higher standard and improves quality for our team members or our guests. We choose excellence over ease in the decisions we make. We are the best trained, most professional, most admired and well compensated in the hospitality industry. We also enjoy the highest possible quality of life in our industry. We never sacrifice our product quality for volume or cost! We choose the finest ingredients, combined in the best-tasting, most- creative way using precise methods. 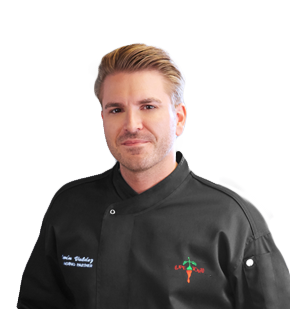 We consistently serve these recipes at their freshest, optimum temperature in a timely manner, producing the finest product available every time. We strive to know each of our guests and treat them as we would the most important people in our lives. Each of us is empowered to ensure that every guest's experience is outstanding, so they will be excited to tell everyone about the quality of what we do. We create a unique, fun place, we are proud to call home and invite others to relax and enjoy. A special place, which is clean, organized, safe and is marked by our attention to every detail. We know financial reward is the result of our actions, people, character, faith, integrity, and stewardship...not the reason for them. We meet our obligation to each other, our creditors, investors, and partners in a manner that exceeds their expectations. We never sacrifice our integrity or morals for financial gain. We believe financial compensation should be earned and in proportion to contribution, risk, responsibility, effort, and performance.